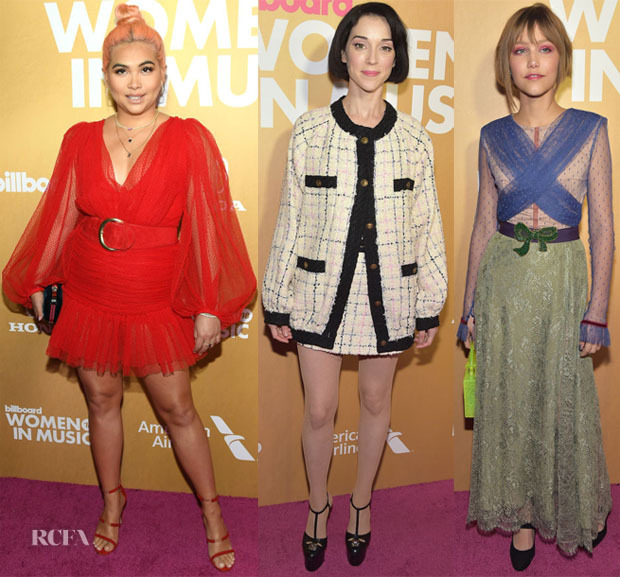 Lovely ladies stepped out at the Billboard Women in Music Awards 2018 on Thursday (December 6) in New York City, joining Ariana Grande and Janelle Monae. 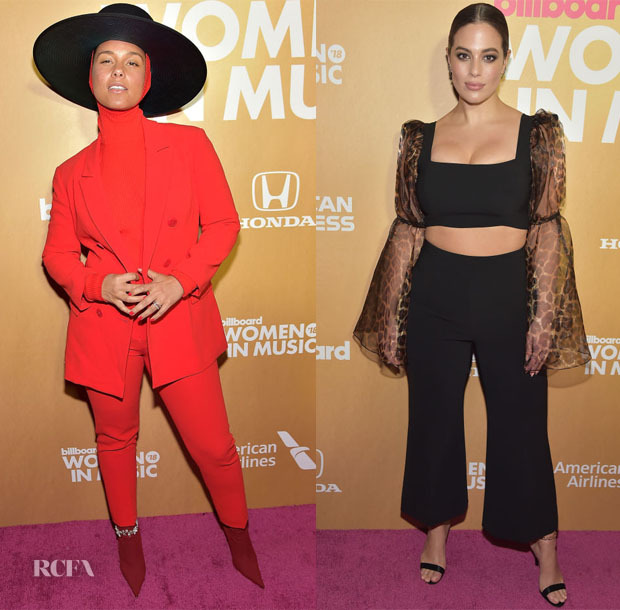 Alicia Keys: The presenter donned a head-turning look. Part of me wishes Janelle wore this, but I appreciate the ‘HERE’ singer’s flair for the dramatic. The top half is sharp, but the proportions on the lower half bring it down slightly. Ashley Graham: We know the model can pull off a sensual dress so it’s nice to see her experimenting. Her Christian Siriano Spring 2019 ensemble with Eva Fehren jewels and Stella Luna shoes still had plenty of glamorous allure. Hayley Kiyoko: The singer was also drawn to voluminous sleeves. She donned a flirty Kalmanovich Fall 2018 dress. The belt helps temper the frothy fabric, but it does compete with the other details. St. Vincent: This monochromatic Gucci ensemble is in keeping with the singer-songwriter’s aesthetic but the prim mood is a bit of a departure. Some might be surprised it’s not Chanel. Grace VanderWaal: The ‘America’s Got Talent’ winner embraced a whimsical spirit in Lei Lou by Alex Dojčinović. The lined top and bow belt were age appropriate. The contrasting bag and eyeshadow brought more playfulness.